Most Iraqis, be they civilians, military personnel, or government officials, do not trust Americans. At a base level, that makes all kinds of sense. After all, the US did launch what amounted to a unilateral invasion of the country just a little over a decade ago, and when it was all said and done, a dictator was deposed but it’s not entirely clear that Iraqis are better off for it. Some of the distrust, the US contends, is fostered by Iran. Tehran wields considerable influence both within the Iraqi military and in political circles in Baghdad. When Ash Carter announced that the US was set to send an “expeditionary targeting force” to the country to assist in raids on Islamic State targets, PM Haider al-Abadi flatly rejected the proposal, saying that “Iraq does not need foreign ground combat forces on Iraqi land.” Abadi rejected a similar Pentagon trial balloon involving Apaches helicopters last month. Meanwhile, Tehran’s Shiite militias threatened to attack any US soldiers operating on Iraqi soil. “We will chase and fight any American force deployed in Iraq. Any such American force will become a primary target for our group. We fought them before and we are ready to resume fighting,” a spokesman for Kata’ib Hezbollah said. Similarly, influential Shiite lawmakers like the infamous Hakim al-Zamili have called on Abadi to seek direct military intervention from Moscow to expel foreign forces from the country. Now, in the latest example of just how tenuous Washington’s grip on the region has become, the Iraqi parliament’s Security and Defense Committee is calling for the review and cancellation of Baghdad’s security agreement with the US. “The government and parliament need to review the agreement signed with the United States on security because the United States does not seriously care about its fulfillment,” committee member Hamid al-Mutlaq, a senior Sunni lawmaker told Sputnik on Wednesday. “We demand that it be annulled,” he added. 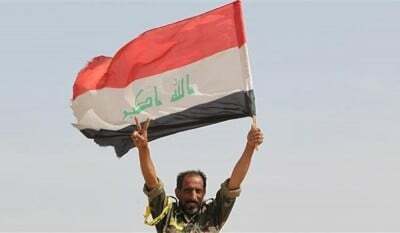 “Soon, a meeting [of the committee] with Prime Minister Haider Abadi will be held, at which we will propose cooperating with Russia in carrying out airstrikes against IS and in the fight against terrorism in Iraq,” another committee member said earlier this week. Recall that this is precisely what we said would happen once we learned in September that Russia, Iran, Iraq, and Syria had set up a joint intelligence sharing cell in Baghdad. It was clear from the beginning that Tehran saw an opportunity to consolidate its power in Iraq and preserve its influence in Syria by convincing Vladimir Putin that Russia could replace the US as Mid-East superpower puppet master by helping Tehran to defeat the insurgency in Syria and boot the US from Iraq once and for all. Moscow will of course get a warm reception from Iraqi lawmakers thanks to the fact that many MPs are loyal to Iran. This makes sense logistically as well. Once the Russians and Iranians have retaken Aleppo (which admittedly is taking a while), they can push east towards Raqqa and from there, move straight across the border, effectively pinching ISIS between an advance from the west and Iran’s Shiite militias already operating in Iraq. Of course that will entail some measure of cooperation with the US, France, Britain, and, once in Iraq, the Peshmerga. It is at that point that Washington’s resolve when it comes to preserving whatever charade is being perpetrated in Raqqa will be put to the ultimate test. In the meantime, it will be interesting to see how the US responds to a move by Baghdad to nullify the security agreement. It now appears that the stage is set for Baghdad to claim that the US, like Turkey, is illegitimately occupying the country (again). If Iraq nullifies the security agreement and moves to invite the Russians into the country, the US will be forced to either pack up and leave, cooperate with Moscow, or fight for the right to preserve American influence. Read more about the official relationship between Washington and Baghdad below.